I am so proud. I do like myself*, but that’s not the kind of pride that I’m talking about right now. 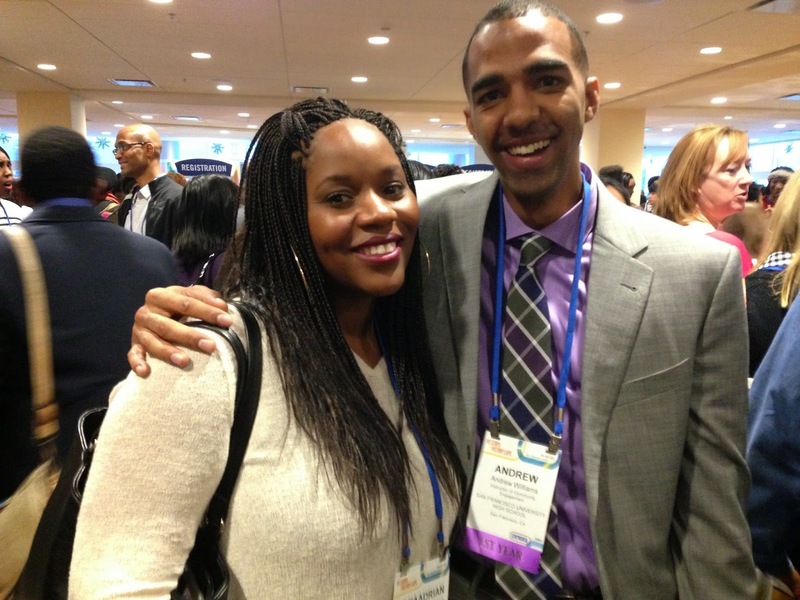 The idea for this post first popped into my head over a month ago, while I was attending the annual NAIS People of Color Conference (POCC) #PoCC2014. That conference was one of the most powerful experiences of my professional life. But it would take a whole separate post to go deep on what it was like to spend a few days in Indianapolis thousands of other people of color that spend their lives as educators and students in the world of independent schools. For now, I will just say that the experience was a game-changer, one that broke my heart and gave me inspiration to go forward, all at the same time. One of the highlights of the conference—and the original spark for this post—was the opportunity to sit in on a presentation given by my elementary school, St. Paul’s Episcopal School in Oakland. When I say, “I am so proud,” I mean that I’m so proud to be associated with this school. In fact, I am proud to be associated will all four schools where I’ve gotten (most of) my education. Reconnecting with a classmate from St. Paul's at PoCC. 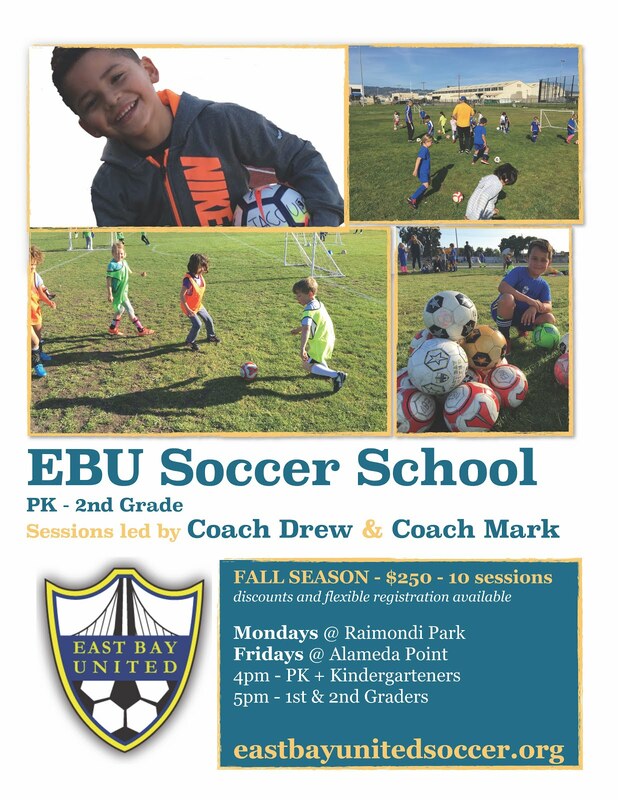 I attended St. Paul’s from kindergarten through 8th grade, then graduated from San Francisco University High School (UHS), where I now work as an Instructor of Community Engagement and 9th Grade Mentor. 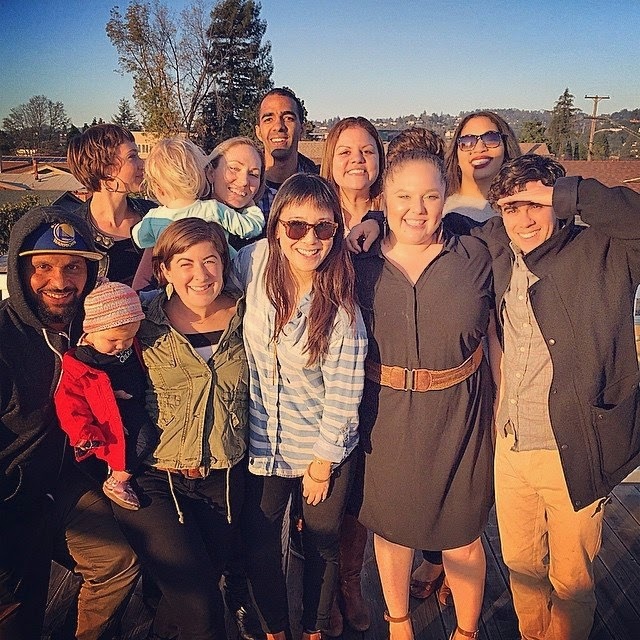 I had a productive but complicated few years as a full- and part-time college student that included about half of the of schools in the country**, then I settled in and graduated from San Francisco State University (SFSU) in 2006. In 2013 I went back to school and earned a Masters degree from Harvard Graduate School of Education (HGSE). Each one of these schools is very different form the next, and none of them are perfect. Yet, none are fatally flawed, and each one has done, and is doing serious work that makes me proud to call myself an alumnus. That is what this post is really about. Instead of trying to explain exactly what it is about my elementary school that makes me proud, it probably makes more sense for you to read this short post, written by the Head of School upon returning from POCC. When I accepted a teaching position at my high school alma mater, I did so feeling that in some ways it had a lot of work to do to catch up to my elementary school. Many of the strengths articulated in the post above are the very things that I want to see nurtured at my high school. Sitting in presentation by St. Paul’s presentation at POCC, I was reminded of that difference between the two schools. Ironically, that difference did not feel like a disconnect—instead, it felt more like an opportunity, or a responsibility. Ironically, twenty years ago I was supposed to attend POCC in Albuquerque, NM, as part of a delegation from St. Paul’s school. Unfortunately, my trip was cancelled due to my grandfather’s unexpected death. There I was, two decades later, trying to make the connections, and spread the secret sauce that makes St. Paul’s a special school. 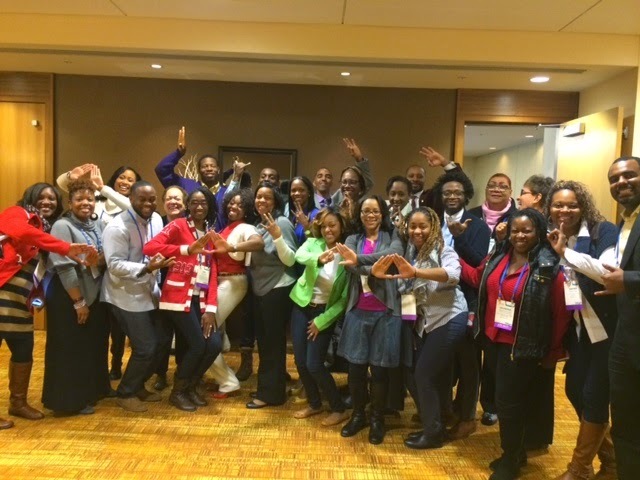 The POCC experience was heavy for everyone, including the teacher and students from our delegation. Re-entering the “normal” world of our school, that can look and feel so different than the conference did, was equally heavy. Each one of us experienced that transition in a different way, but I returned to campus with a fire in a belly that has been burning ever since. The conference raised the stakes for me, helping me appreciate the fact that there is an opportunity to make systemic change while working in the independent school world, even when my school has fewer than 400 hundred students. "People have probably been singing longer than they have been protesting. and the two have gone hand in hand in this land since before the founding of our country. 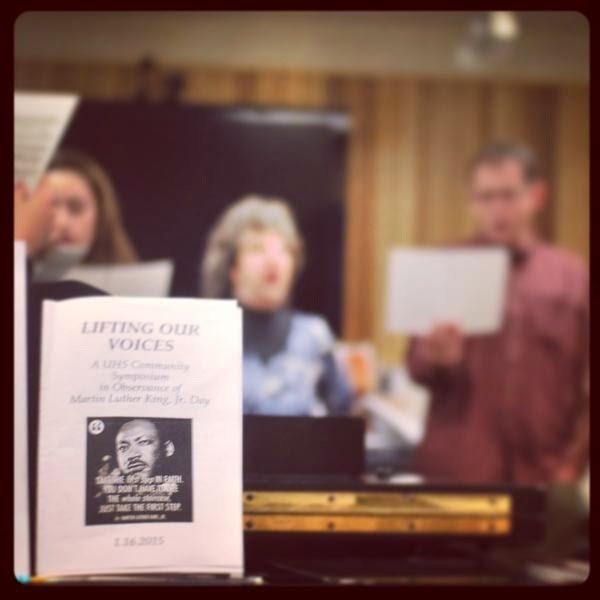 In this workshop, we will learn two or three songs that helped unite and energize the people during the Civil Rights movement. No experience or singing talent required or expected—just a willingness to make your voice heard." I saw this workshop as an opportunity to spread some of that secret sauce that I referred to before. Many of the songs that I taught during the workshop were songs that I learned as a student at St. Paul’s. Songs like “Oh, Freedom,” “Ella’s Song,” and “Lift Every Voice and Sing.” I felt that connection even more just two nights later as I sat in the balcony of the Scottish Rite Center in Oakland. 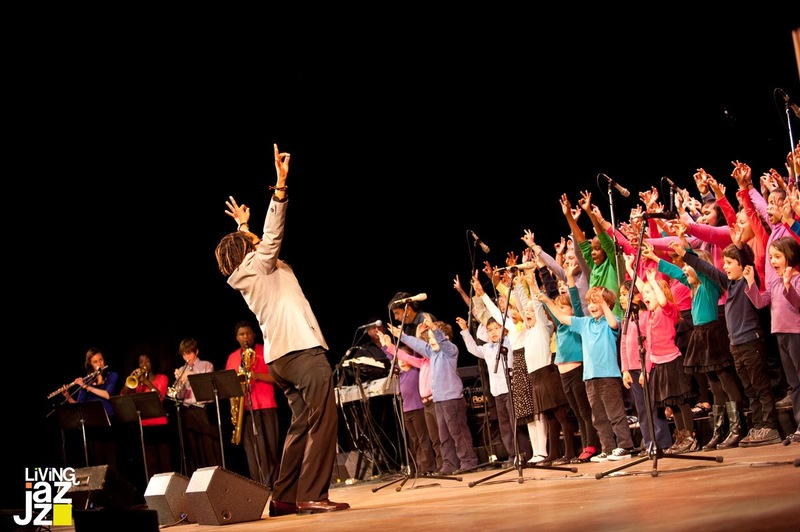 For the opening act of the 13th Annual “In the Name of Love” MLK Tribute"***, Melanie Demore lead the Oakland Community Children’s Choir in song. Years ago, Ms. Demore was the choir director at St. Paul’s—she was one of teachers that taught me the power of the protest song. The energy from our MLK Day Symposium is still alive on campus. I’ve heard from other that I am not the only that felt like this was a first at the school, even if we don’t all agree on what it was exactly that made the day so special. A month ago, if you had asked me what I was most proud of about being associated with UHS, I would have said, “No contest... those two NCS Soccer Championship banners hanging up in the gym.” Now, it’s a three-way tie. As I write this, I’m hoping that a three-way tie will keep growing into a long, long list. Tomorrow, we launch another project that could make the list. 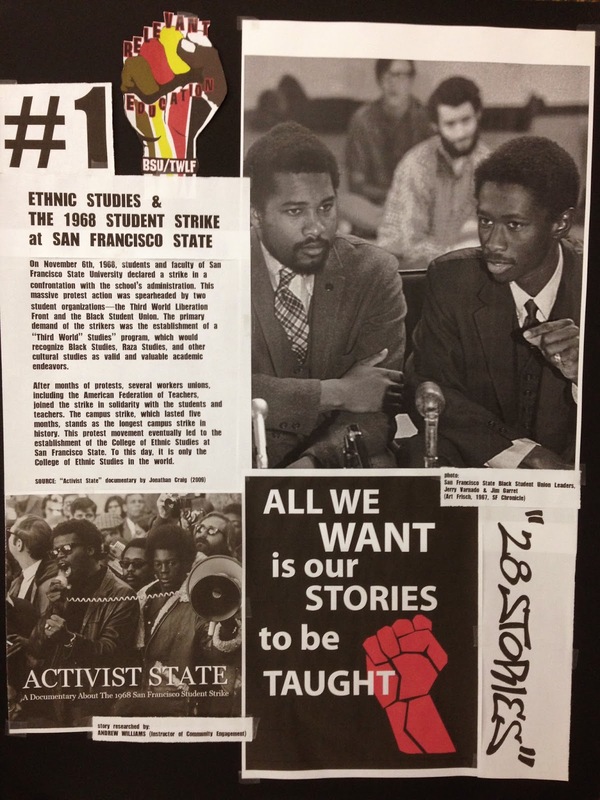 This year, in recognition of Black History Month, we are curating an on-campus exhibit called “28 Stories,”**** which will highlight untold and under-told stories of African-American history in San Francisco (#28StoriesSF). 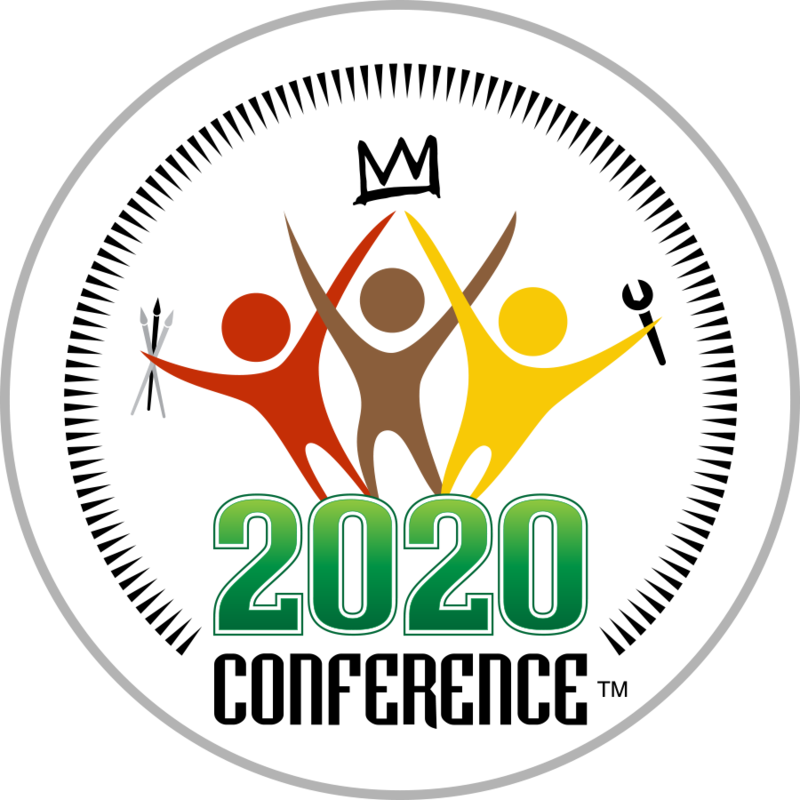 The idea is that, while we appreciate the legacy of MLK, Malcom X, Rosa Parks, and Jackie Robinson, we also want to recognize the influence of African-Americans right here in our own community. ***** Each day this month, we will feature a different story. We’re picking the stories based requests/suggestions submitted by students and teachers from our school, as well as from some of the many organizations that we partner with through our Community Engagement program. I spent yesterday evening pulling together the display for the Story #1, which will kick off the month. Which brings me back to the title of this post. If you feel like you want to know a little bit more about this story, please check out this short 26-minute documentary by Jonathan Craig, titled Activist State. I could not think of better way to keep it relevant, for our students and for the adults on our high school campus. 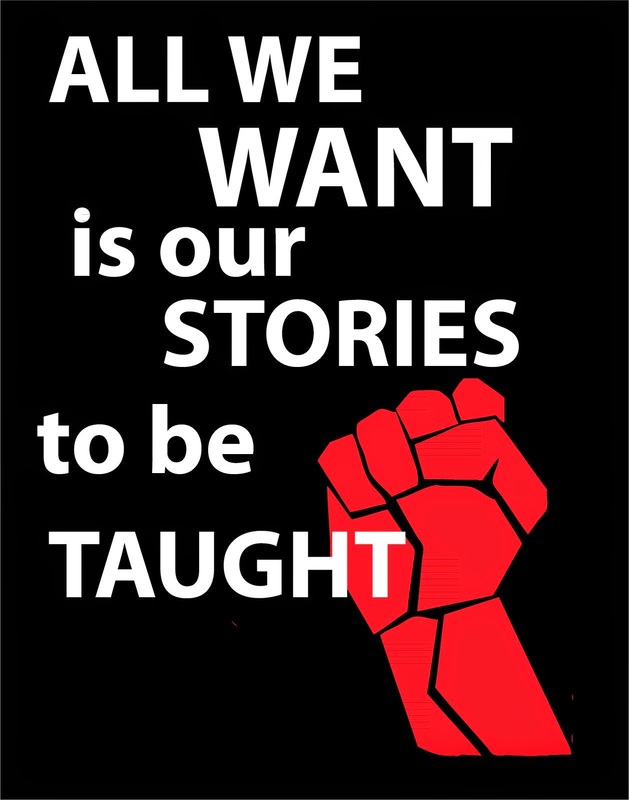 Like we say, “All we want is our stories to be told.” It’s only too perfect that at this very moment, my friends on the other side of the country are fighting the same fight for Ethnic Studies at HGSE. You might ask why I am proud to be associated with a school that does not already offer a strong Ethnic Studies program. My answer is that sometimes it’s not about the institution, it’s about the people inside of it. When I talked about Harvard, I’m not talking about the building, I’m talking about people like Cesar, who have been fighting (successfully) to get Ethnic Studies organized offered as an Independent Study option for students this spring. I’m also talking about people like Moriska, Veronica, and Jackie, who are working hard to organize this year’s 13th Alumni of Color Conference at HGSE. My experience at last year’s conference was deep and inspiring, just like the People of Color Conference was last December. I’m looking forward to heading back east at the end of February for my first AOCC as an actual alumnus. 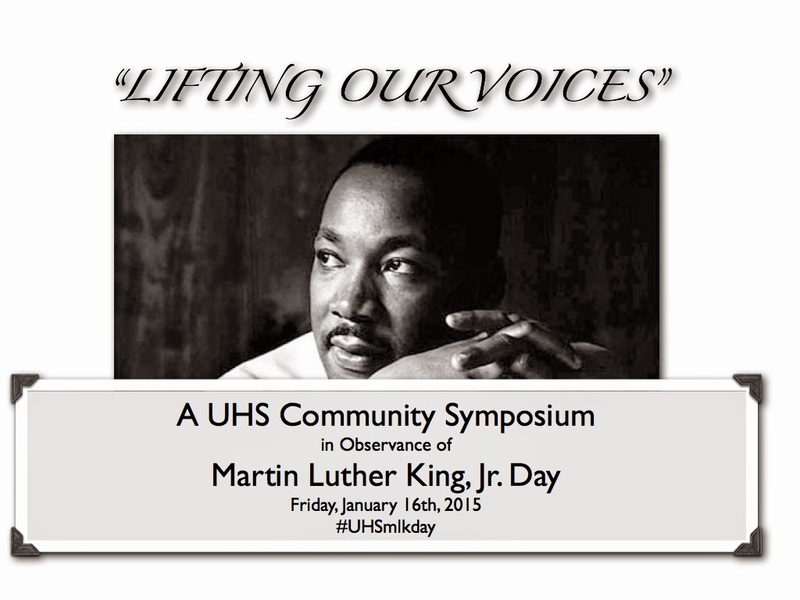 I am so proud that UHS has stepped up to support my participation in this conference. A Coding workshop at the recent Vanguard Alliance Conference. More than anything, I’m feeling the power of a strong current that runs through all of these experiences as a learner and teacher. Just last weekend I was back at St. Paul’s for the Vanguard Alliance Conference, where I helped "lead" a coding workshop for young African-American boys. No, I do not know how to code, but I know how to learn. One of the co-founders of that conference used to work at UHS. Just two days ago, another one of my colleagues at school was reminding me how important it is for us to put all of our work in the context of the educators who have walked the hallways before us. On Monday, I will proudly share the story of my college with my current students and colleagues. And later that month, I will visit my grad school, not just as an alumnus, but also as representative of my current school and alma mater. I don't believe that these are all random coincidences. Instead, I believe that I am exactly where I am supposed to be right now. * Miss Ayana first taught me the "I Like Myself" rhyme when I was in pre-school, but that's a story for another post. ** I studied at Georgetown University, UC Berkeley Extension, and Diablo Valley College before transferring to SF State as a Junior to major in Urban Studies. *** I was tempted to feature Living Jazz in the post as an organization that I am so proud to associate myself with, but the list started getting too long, so I decided to kept it focused on my schools. **** Please follow and use the hashtags #28Stories and #28StoriesSF throughout the month to get in on the learning. Proud of ya dude. Keep up the awesome work. I didn't realize you were back in the Bay! (Obviously I'm behind on reading your blog) Sounds like you are wonderful and doing meaningful work, no surprise there! Let's catch up soon!